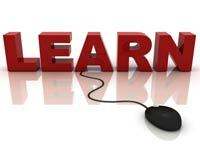 GERMAN SCHOOL and online Teaching provides flexible learning opportunities. 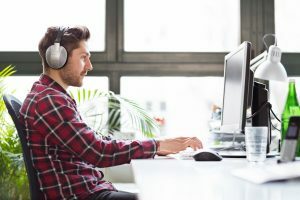 Distance education courses include live, interactive audio- or videoconferencing; prerecorded instructional videos; webcasts; CD-ROMs or DVDs; or computer-based systems accessed over the Internet. We deliver online teaching at a time and place of the students convenience. You can learn German at any place where is an internet access. Our teachers are highly educated native speakers who are geographically remote. Our online Tutors have all learned other Languages and understand the challenge for you. Do you need German for your everyday work – for your current or future responsibilities? In our language courses you can quickly and effectively develop the language skills you need for your career. You’ll also become familiar with cultural differences and everyday manners in Germany. Start today with your personal GERMAN SCHOOL online language tutor. Get one on one online German language tutoring. We leverage easily available material and books to suit your situation. Part of your learning in on your own time. We give you homework to consolidate the work learned in Lessons, and we give you tests to manage your development. Our Online Manager keeps track of your Lessons and payments. Sign up today for your free membership so that you have always access to our teacher and book your online classes at any time with our German teacher, no commitment or contract needed, just book your teacher for one lesson or multiple lessons. Our payment system is easy, all payments are done via PayPal, so you can pay from any place in the world without bank hassle. Languages play an essential part in shaping relationships between different cultures in a globalized world. German has a special role in this. It is the native language of over 120 million Europeans. In addition, some 17 million people worldwide are currently learning German as a foreign language. So knowing German provides the opportunity to experience firsthand an exciting part of Europe’s culture and other parts of the world. German teaching includes cultural exchange along with language learning. Schedule your online class today. Our teacher will tailor your classes to meet your needs. You chat with our teachers over free Internet Telephony and Messaging System to get verbal and written teaching. We teach people to be comfortable in spontaneous conversation in a second or additional language. GERMANSCHOOLonline.com is specialist in teaching German to adults as well for youth in high school. Take advantage of this technology to learn a foreign language at your convenient location in the world. Working for a German company and need business German fast, no problem. We re-tailor for you crash learning or crash refreshing. We welcome corporate clients for whom we can offer tailored instruction. Individuals can take a lesson from their desk, with no downtime from work. German is the most widely spoken language in Europe. German is easier to learn than you think. Learn with our professional online tutor German in no time. If English is your native language, or if you already know English, then you already have an advantage to learn German. 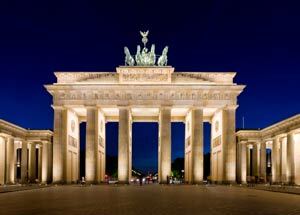 German speaking countries have a rich cultural heritage. German American heritage is the largest population in the United States. Our German online training is for all cultural and language backgrounds who are interested in learning another language and thereby also strengthen their English skills using the schools’ German language program. Research has shown that foreign language learning not only improves understanding of the students’ native language, but enhances listening skills, improves memory and gives a new perspective and understanding of language itself. Multilingualism is the norm in most of the world and we believe that people who speak and write more than one language will be better prepared for life in the 21st century with its growing global economy. In the historical development of languages (the language tree), German and English have common roots. In effect, good German language skills will help students with their English language arts. Learn effective and fast German at your fingertips, you schedule the time. Hello: I am an adult seeking to learn German, and have no prior German experience. Please provide resources and prices. I require some good online German teacher for my son studying in 7th grade. I am from India. . I want to learn German language. Please let me know options.